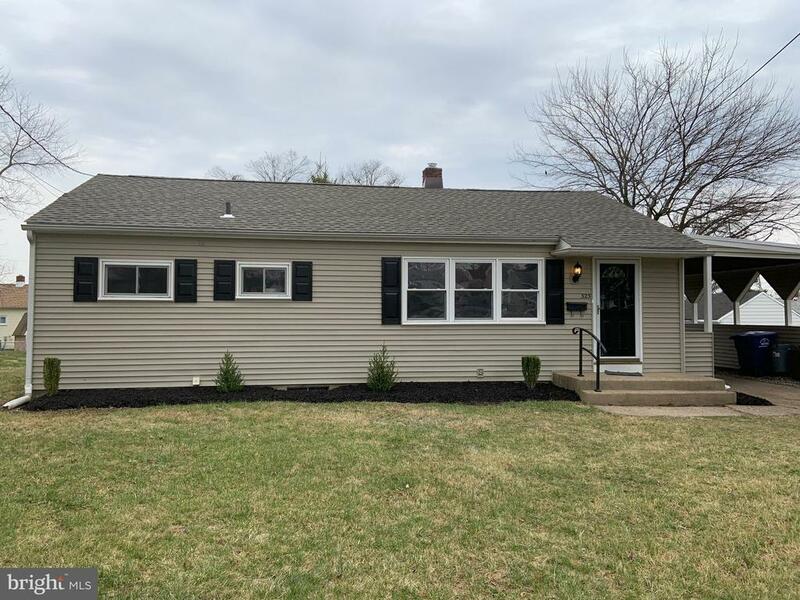 All Maple Shade homes currently listed for sale in Maple Shade as of 04/22/2019 are shown below. You can change the search criteria at any time by pressing the 'Change Search' button below. If you have any questions or you would like more information about any Maple Shade homes for sale or other Maple Shade real estate, please contact us and one of our knowledgeable Maple Shade REALTORS® would be pleased to assist you. 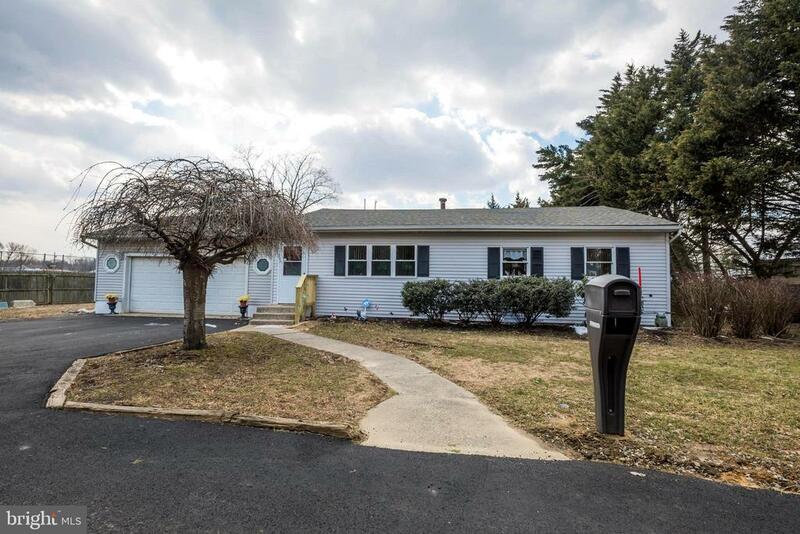 "Great home located right between Cherry Hill and Moorestown mall . Easy commute with in only few minutes to major highways. This house has a lots of sunlight and brightness thru out. Home welcomes with open family room and dining room leading to eat in kitchen. Laundry room is located right by the kitchen and exit to the back deck .Main floor also has additional small bedroom and full bath making this area in to in -law -suite. 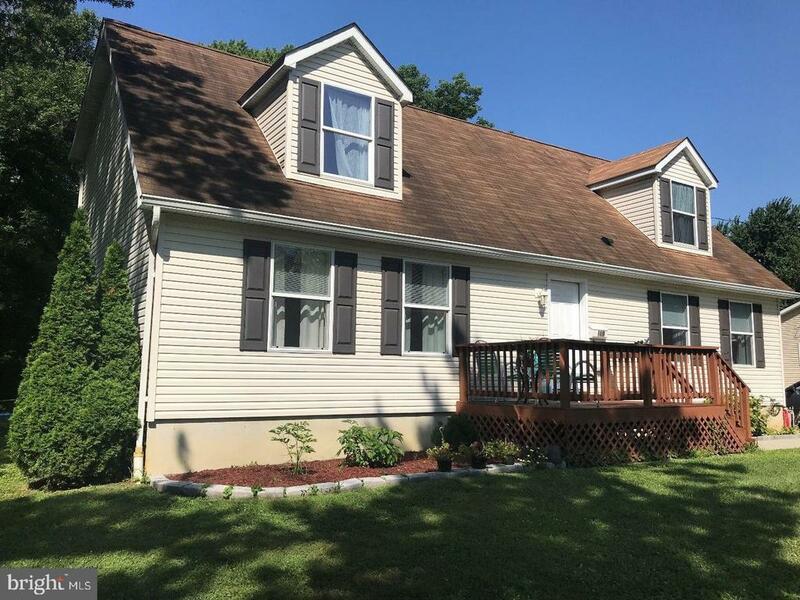 Upper level has 4 specious bedrooms with great closet space and and two full baths .Full basement is not finished but creates additional storage .Off street parking in the back with detached 2 car garage for additional space if needed . This house is a gem and will not last .Sellers took great pride in maintaining this property for years .Buyer will receive one year home warranty.Come see this home today before is gone .."
"4 bed / 2.5 bath home featuring an open living area, four nice sized bedrooms with a first floor master suite, full unfinished basement and 1 car garage." "Unique opportunity to own the charm of a 1929 home that contains all the modern conveniences plus more. Completely redone from the basement to the top of the roof and meticulously maintained by the current owner. Large spacious rooms that includes a master suite with a gas fireplace, sitting area and large master bathroom with garden tube. 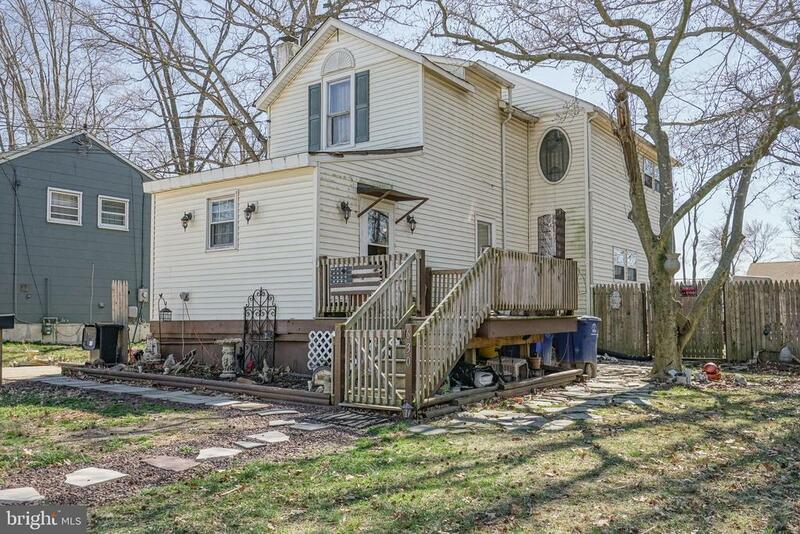 Convenient corner lot, fenced in yard with a car port and large deck out back. One year Home Warranty included. Schedule your showing today, you will not want to miss this home." "Updated home is ready for its new owners. 2006 Built Home with formal Living and Dining rooms with brand-new carpeting, large eat in kitchen with all new stainless-steel appliances, opens to the family room with gas fireplace and new carpets. Conveniently located powder room and access to the attached garage. Upstairs find the master bedroom with master bath as well as three other bedrooms and a full hall bath. All bedrooms, hallway and stairs have brand-new carpeting. The laundry room is also on the second floor. There is a full basement with epoxy floors and drylok painted walls, new windows and waiting for you to finish. The back yard is accessible thru the stairs from basement. Large patio, plenty of off street parking completes this lovely home. This is a Fannie Mae HomePath property!" 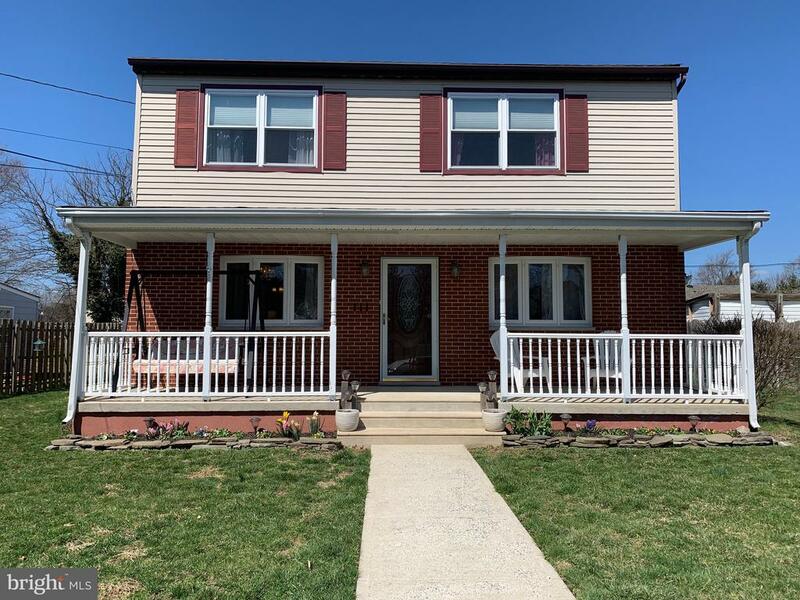 "Welcome home to this beautifully designed 3bedroom, 2.5 bathroom home tucked peacefully away on a quiet street in Maple Shade- but still conveniently located to all of Main Street's restaurants and shops. The curb appeal to this home just simply can't be beat! 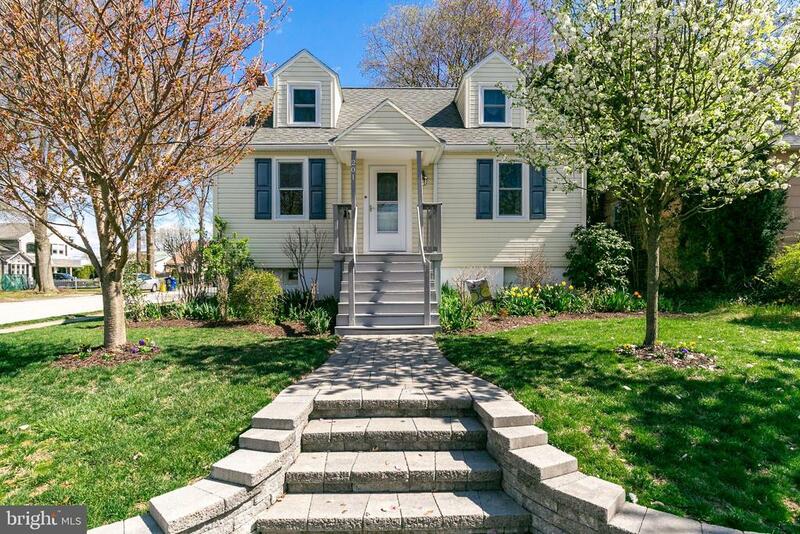 A modern colonial style front exterior is complete with a charming front porch and the back exterior offers a large detached two car garage with additional parking and storage. As you walk into the home you'll notice the new wood flooring throughout the first level and plenty of first floor windows allowing tons of beaming natural sunlight. The heart of every home is the kitchen and this custom kitchen is a show stopper! Featuring new custom cabinetry, modern stainless steel appliances, granite countertops, stylish lighting and designer backsplash as well as every high end finish you can imagine. There is also a breakfast bar off of the granite counter space that flows nicely into the spacious dining area. After that you enter into an oversized family room featuring entertaining space, a custom fire place and large sliding doors which lead out to a sprawling back deck ready for Spring BBQs! As you head upstairs you'll find 3 spacious bedrooms as well as two full bathrooms. 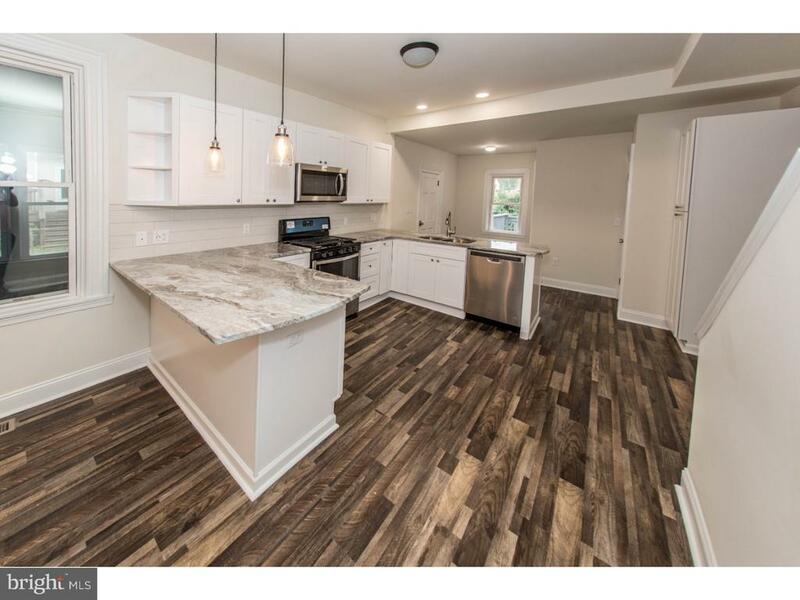 Downstairs is a fully finished basement boasting new modern flooring, plenty of additional living space as well as a BONUS potential 4th bedroom! This move in ready home will not last long. Book your appointment today before it's too late!" "This Cape Cod has 3 Bedrooms,the 4th bedroom has been converted to family room. Huge 2 car detached garage that boasts a 2 bedroom apartment which can be used as extra living space ." "You may have to stop looking! Check out this wonderfully maintained, tastefully decorated 2 story home with approx. 2000 sq. ft of living space. You will be impressed as you walk onto the front porch that spans the width of the home and find large picture windows allowing for an abundance of natural light. Upon entering you will notice the beautiful hardwood floors, your eyes will immediately be drawn to the trendy white set of barn doors which surprisingly leads you into the 4th bedroom or possible formal living room. Continue upstairs to the 2nd floor featuring a grand master bedroom with a true walk in closet. The stunning 4 piece tiled bath offers a Jacuzzi tub, floor to ceiling tile with a separate stall shower and a marble top vanity. The 2 additional bedrooms are a good size along with ample closets. Downstairs you will find the dining room that looks straight back through the stunning eat in kitchen which boasts beautiful wood cabinets, ample granite counterspace, custom tiled backsplash and stainless steel appliances. Continue into the spacious living/family room with a wood burning fireplace which merges into an open area that is presently used as an office area. A large closet and powder room which is adjacent to the laundry/craft room with a stall shower, 2nd refrigerator and laundry tub complete this level. Walk outside and you will find an entertainment oasis. A covered patio with a ceiling fan, A huge fenced, back and side yard, a 15x30 4' above ground salt water pool with deck area. An oversized detached garage allows parking for all of your toys and the loft can be storage or a man cave. Additional off street parking on the earth friendly paved driveway runners leading upto the garage. Additional features include; New Roof, Vinyl windows through out, 2 zone heat/air, ceiling fans and recessed lighting. Conveniently located within minutes to NJ Turnpike, I295, several Malls and Center City Philadelphia." 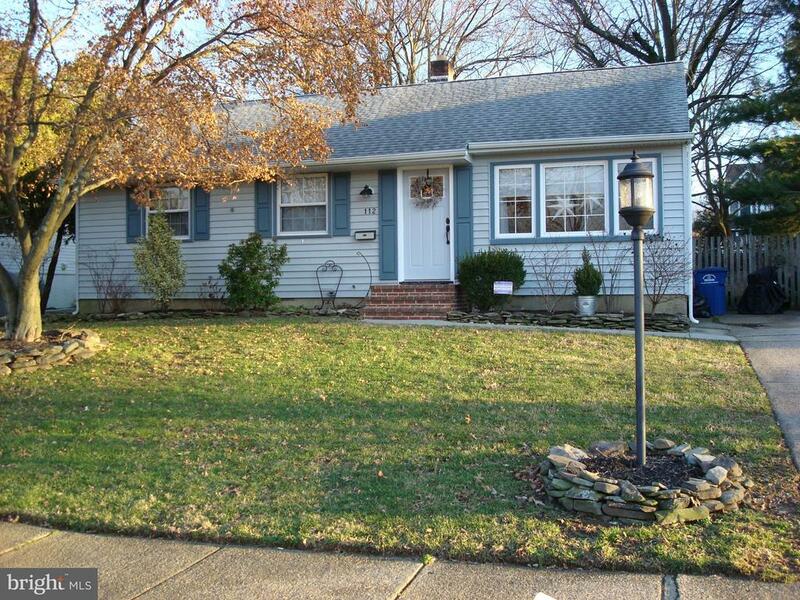 "Absolutely lovely Home, with central A/C, located in the Alden Park Community of Maple Shade, NJ. This home boast pride of ownership. Owned by only 1 family, this well maintained, well kept home, is just waiting for it's new owner. All rooms are a generous size. with large windows making this home bright and sunny. Fabulous , All Window, 3 Seasons room which leads to a Large flat, fenced in Backyard for those family celebrations and barbecues. Great family room with natural light, on the lower level, for those Sunday Football Gatherings, without disturbing the rest of the family. Convenient laundry room with Utility Sink, that leads to the attached one car garage. Make your appointment today. This one won't last." "Stylish home that has many upgrades and has been impeccably maintained through the years ! This home offers 1st floor open floor plan with expanded living room, formal dining room. The large gourmet eat-in kitchen has granite counters, breakfast bar, center work island, tin back splash, stainless steel appliances and slate floor. There's also a 1st floor bedroom, laundry and full bath.. The second floor has a beautiful master suite with a half bath and plenty of closet space. 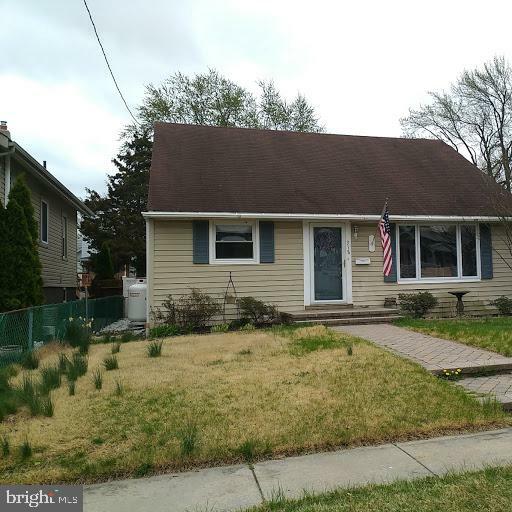 In addition this home has newer vinyl windows throughout, updated gas heat & central air, newer electric and a cozy backyard deck. Located on a nice corner professional landscaped lot convenient to schools, shopping, Main Street, parks and easy access to major highways. Don't hesitate and schedule your appointment today to view this lovely home. You won't be disappointed! Showings begin Saturday 2/1." "Cul-de-sac location and all rehabbed. It's almost ready but you can see the quality of the workmanship." 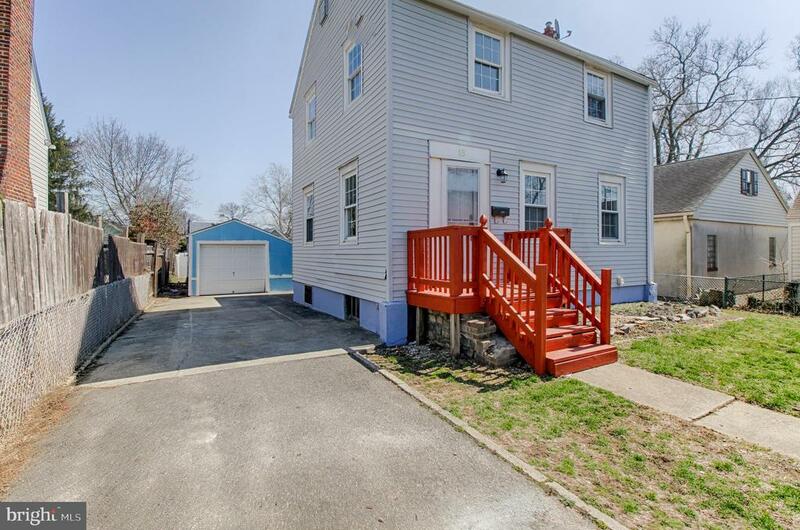 "Beyond move-in ready...this newly renovated home features spacious rooms and thoughtful features! 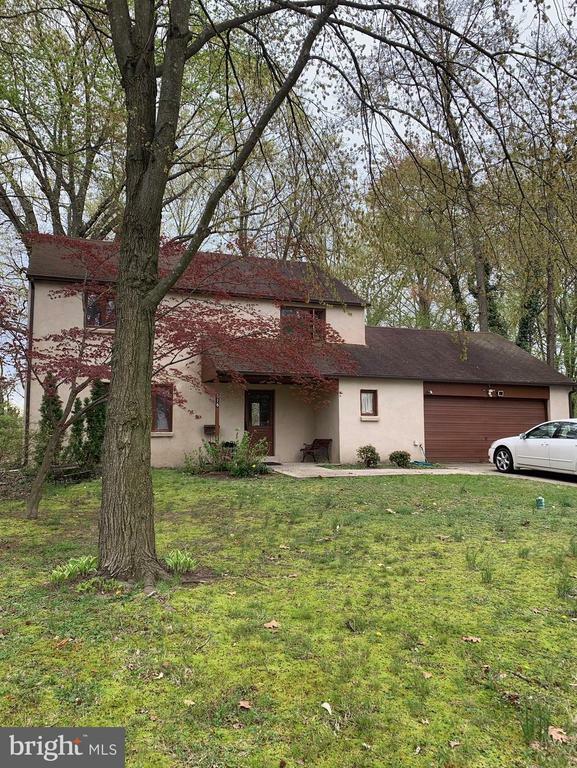 The most house for the money in the area, not to mention low Maple Shade taxes! Upon entering the front door, you'll notice the generously sized living room with gleaming hardwood-look waterproof EVP that stretches throughout the open floor plan of the main level. Beyond the living room is an open dining room and kitchen with counter seating, granite counter top and new stainless steel appliance suite. Your main floor laundry closet, half bath and coat closet nook in the hallway complete this level. Use one of two stairwells to get to the second floor. On the second floor you'll discover a massive main bedroom suite with plenty of closets, a sitting room (or dressing room) and en suite bathroom with luxury rainfall shower head to get your day started off right! A second full bathroom and modestly sized bedroom round off the second floor. The third floor features two bedrooms as well as attic storage. Each floor has its own HVAC controls (new gas furnace and high-efficiency air conditioning in 2018). No knob and tube here as the entire home has been rewired and new pex plumbing installed throughout as well. New flooring and paint (goes without saying). You'll appreciate the thoughtful touches that were added to this home, right down to the living room pre-wired for a wall mount TV. Buyer to verify accuracy of listing details." "An open invitation to be the 2nd owner of this 13 year old cape on a nice street. In addition to the 3 BR & 3 BA there are 2 nice sized dormer rooms that can easily be finished as bedrooms for guests, an office a workout room, a pet room...endless possibilities. Full walk out basement is partially finished with a room to make it what ever your little heart desires. A huge back yard off the deck for gracious living and entertaining. 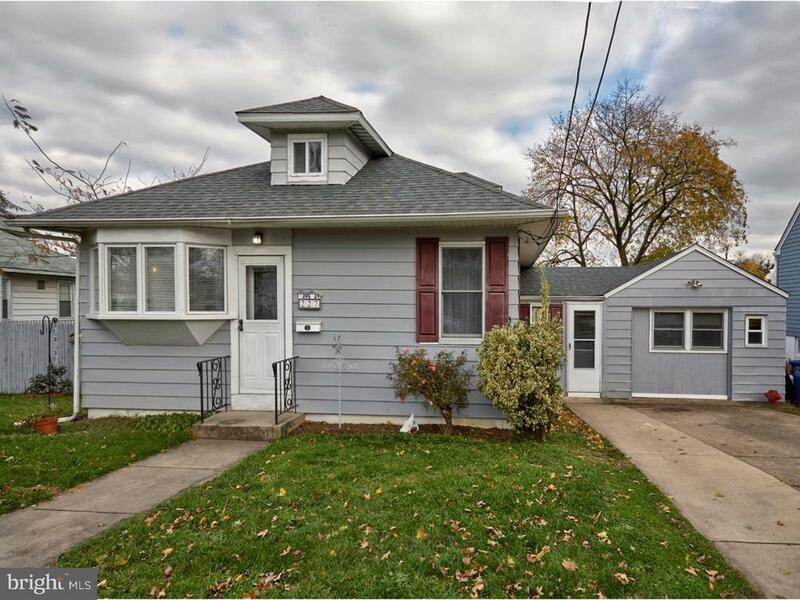 Come take a look and turn this gem into your dream. IMPORTANT NOTE: THE SELLER HAS BEEN WORKING ON GETTING THE TAXES REDUCED AND WAS SUCCESSFUL. THE LOWER TAX WILL BE EFFECTIVE 2019." "LOCATION-LOCATION. This Immaculate, Ranch-Style home has been completely renovated and updated with the latest modern amenities. Situated at the end of a quiet secluded lot,, the newly paved driveway leads up to the attached 2-car garage. Once inside, notice the spacious living room with new flooring and ceiling fan. This leads to the kitchen where you will find granite counter-tops and all new stainless steel appliances. The natural light flows plentifully throughout. Master Bedroom is spacious with large walk-in closet and master bath. Second bedroom has sliding glass door that opens to a large mostly fenced in yard with Koi pond. The two full bathrooms feature modern marble finishes that are sure to impress. One has a bath tub and the other has a shower- but BOTH are stunning! Large laundry room off Master Bedroom for easy access. 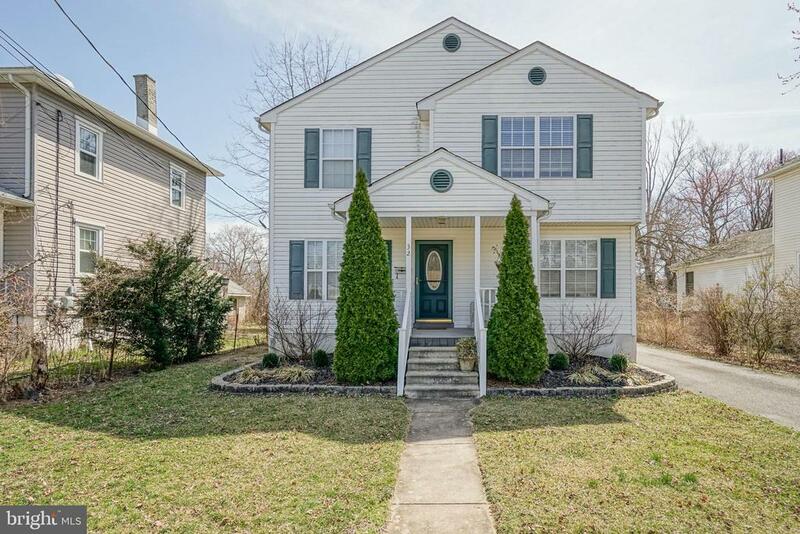 Put this on your list to see and Make it Yours"
"Beautiful Colonial in Maple Shade. Newer kitchen with under cabinet lighting. New floor coverings and paint. 2 full baths one on each floor. Huge oversized 2 car detached garage. 2 level deck. 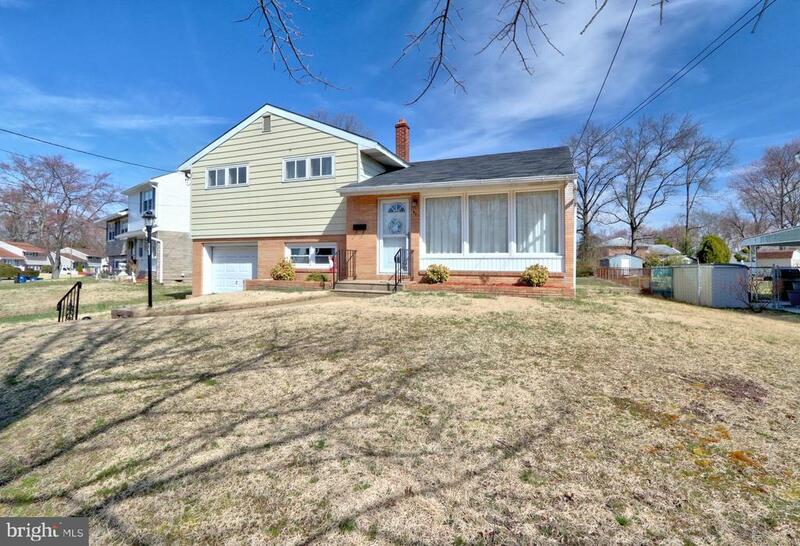 Will not last"
"Delightful 3 bedroom, 2 full bath, 2-story home in desirable Maple Shade. Walk up to the charming front porch into the cozy great room with lots of natural sunlight. Full kitchen with center island allows for extra work space while preparing family dinners adjacent to the dining room and sliding doors with views of the large back yard, deck and hot tub for entertaining. Conveniently located close to the Cherry Hill and Moorestown Malls, Philadelphia and all major highways." "This Beautiful Home is located in a great location and sits on a Large corner lot! The Living Room is a great space, with Gorgeous wood floors and 2 windows that bring in plenty of natural sunlight. There are 2 bedrooms on the main floor and 2 on the second floor, all have plenty of closet space and are nice size rooms. The bathroom is really cute and has been updated. The kitchen offers beautiful stainless steel appliances and sink, tile flooring, plenty of counter space, cabinets and a door that leads to a Gorgeous sunroom. 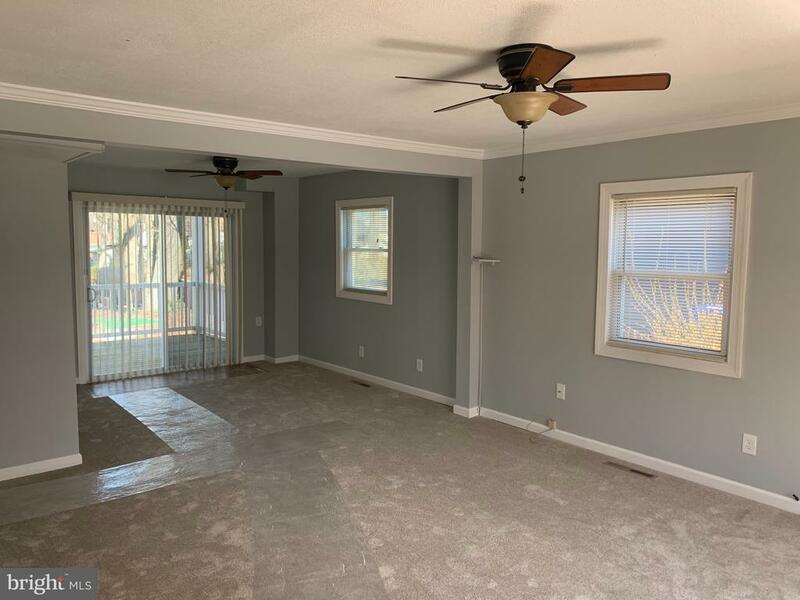 The sunroom gives you a feeling of being in Jimmy Buffits paradise with high ceilings, large windows, 2 sliding glass doors and is a great place to eat, relax or entertain. The one sliding glass door opens to a side door so you don't need to go through the house to enter if you like, the second sliding glass door opens to a deck that has steps leading down to a large patio. The outside is amazing, you can relax, BBQ, entertain, garden or enjoy the hot tub. This home offers so much, there is also a finished basement that you can use for relaxing or entertaining. There is a half bath with a washer, toilet and shelving, no sink. The basement is dry, has plenty of room for storage, high ceilings, a workshop area, more shelving, a door leading out back through bilco doors. On top of all this, there is a large 2-car detached garage with driveway parking on this large corner lot. The landscaping is Gorgeous with flowering trees, flowering perrennials, blueberries, blackberries, raspberries and even asparagus. Roof (2009), water heater (2014), heater (2010), A/C (2009), windows (2015) and garage (2011). 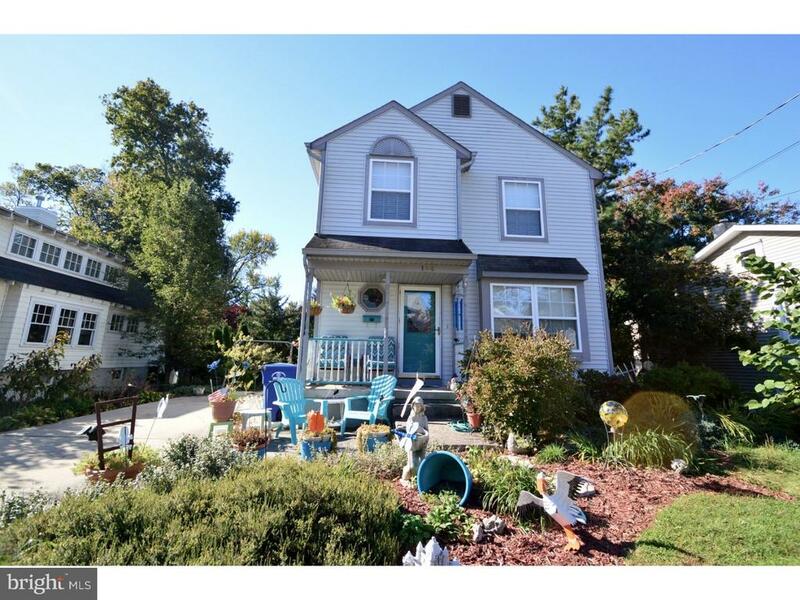 This house is close to all major highways, schools and shopping. Call today for your appointment and make this your Home!" "AS IS Sale - BUT Move in Ready! 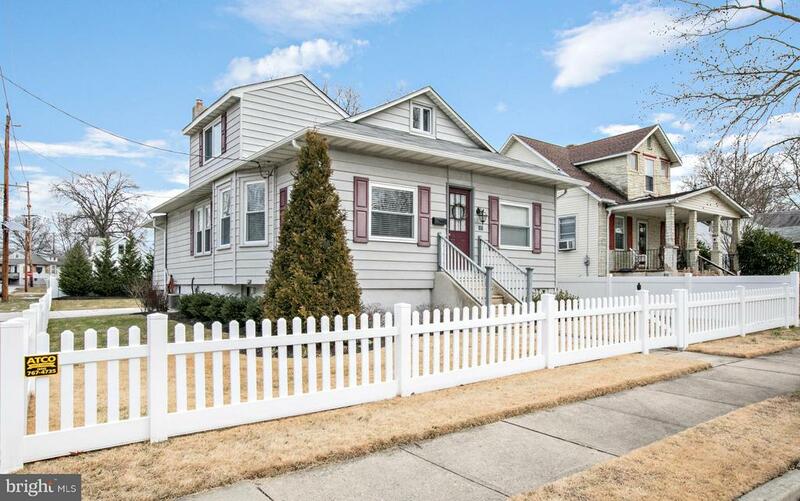 Pride of Ownership shows in this beautiful, updated, well maintained rancher. 3 bedrooms and 1 bath, large kitchen and family room. Wait until you see the new three seasons room off the back of the house with split unit adding tons of space for guests and relaxation! Walk out to the large fenced in back yard and enjoy the hot tub! Roof is only 5 years old, newer insulation in attic and crawl space, A/C and Heater only 5 years old, Fridge and Dishwasher only 1 years old! Don't wait to tour this beautiful home!" 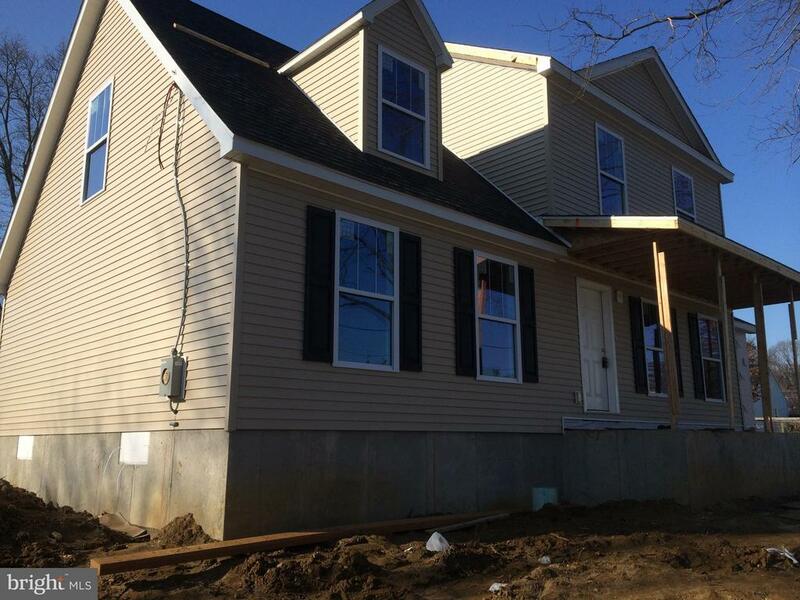 "2 story 4 bedroom 2 full bath Cape Cod home with partial finished basement. Enter into foyer which leads to nice size living room , dining room and kitchen. Hardwood floors under all carpeting. Kitchen features pergo floors, wood painted cabinets, elec glass top range/over with range hood, refrigerator and formica counter top. Glass tile back splash and door that leads to nice covered porch which overlooks fully fenced in yard with inground pool. All pool equipment and storage shed are included. 2 Bedrooms down with full bath and 2 bedrooms up with full bath. Partially finished basement with 2 more rooms for use as family room or game room. Washer & dryer in basement. Newer high efficiency heater and A/C. What more do you need?" 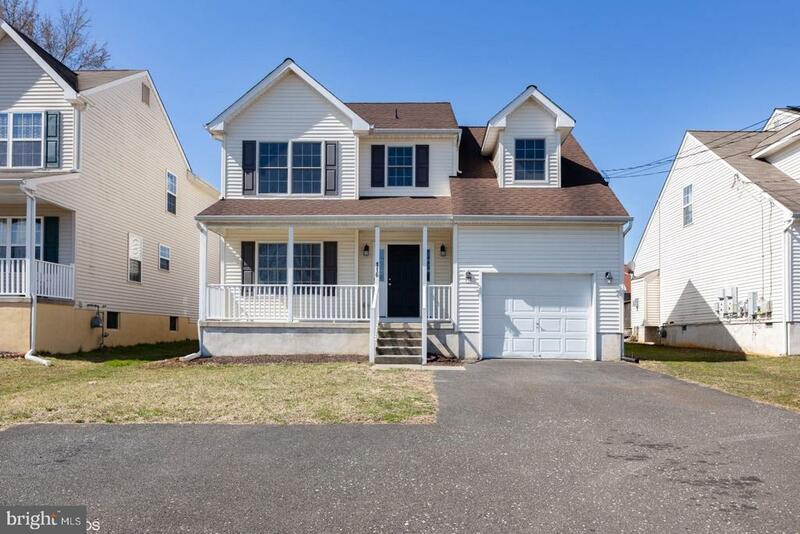 "This Beautiful Home awaits your family with a flexible floor plan and is conveniently located to Main Street, Houses of Worship, Malls, Route 73, Route 295, NJ Tpke, Rte 38, Kings highway and Route 70 for easy access to Philly, NY and Shore points! As you enter a lovely Living Room greets you which is open to the Dining room and has a Trey ceiling and Bay windows! Both rooms have beautiful crown molding and gleaming hardwood flooring. The Kitchen has attractive wood cabinetry a 5 burner gas range with range hood, stainless steel dishwasher, large stainless steel sink with a garbage disposal, ceramic tile floor and ceramic tile backsplash, refrigerator and mudroom leading to the deck and fenced rear yard. The huge cathedral ceiling family room has an exposed beam, french doors, a ceiling fan and warm gas fireplace! Just a great private space to relax in and enjoy! Can also be a Rec Room or Media Room! This home also has a laundry room, full basement which has been recently waterproofed and a dimensional shingle roof. There are new carpets and fresh paint! Washer, Dryer and Refrigerator are included! All this and reasonable taxes! Make this your family home, a home you will be proud of!" "Please remove your shoes before entering the property. 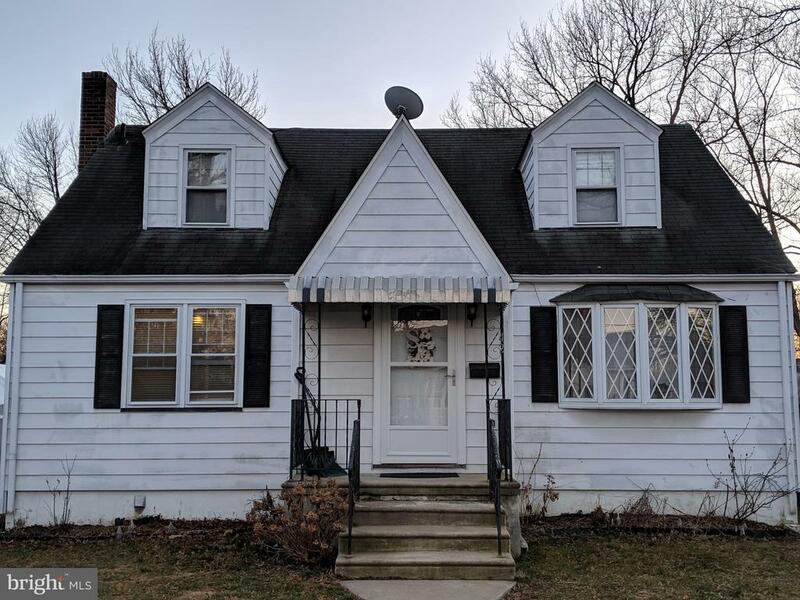 Opportunity knocks.. Two story home in Maple Shade that sits on almost an acre of land 157x276 possible subdivision or expansion of current home priced to sell. The home is in move in condition but needs work. Cash, Conventional, FHA 203 K only. Seller has replaced all the sheetrock throughout the property, installed new flooring through most of the house. Spacious rooms. Garage is oversized and has an office attached to the rear of it. Lots of new construction going up around the property.. Owner is selling as is he doesn't have the time to finish remodeling the place. He purchased it to me his primary and life has changed directions for him. Please come see all the wonderful possibilities that await you. Call today for your personal tour." 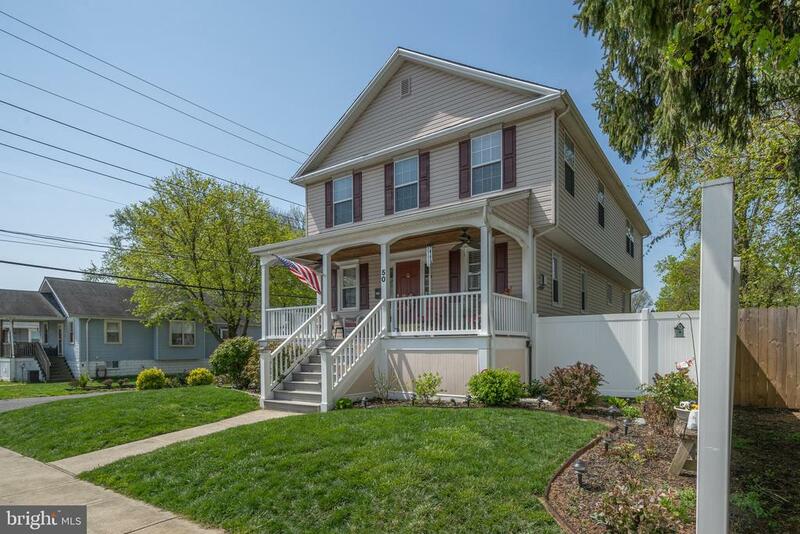 "Renovated two story in a great location in Maple Shade is ready for its new owners! Home has a large renovated kitchen with white cabinetry, granite countertops and Stainless Steel appliances. Also on the lower level you will find a living room and a formal dining room. Three bedrooms and a full bath are on the second floor. Home boasts a full basement, garage with eletric. All new paint, carpet, flooring, kitchen, bath and a new High Efficiency heater for your peace of mind. See this home today!" "Another AMAZING HOME brought you by DUNN WRIGHT PROPERTIES! 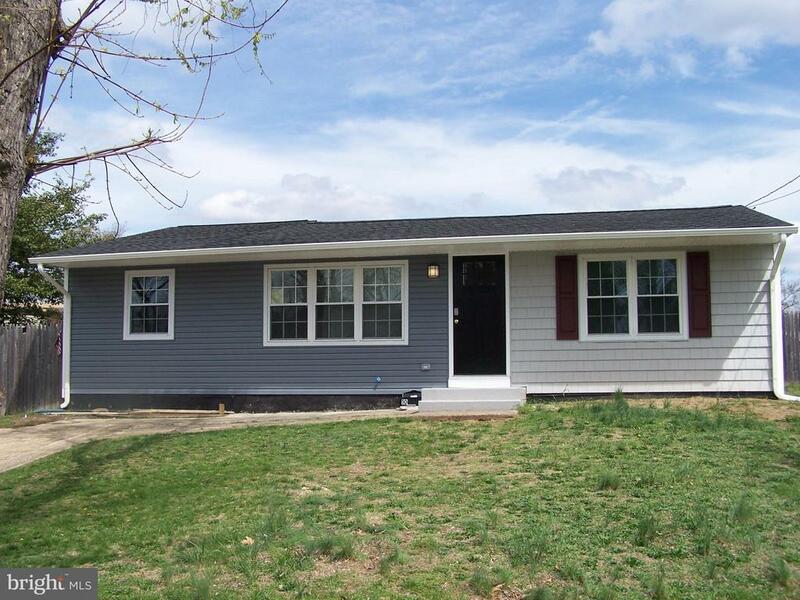 This streamlined 3 bedroom 1 bath home has been sleekly remodeled with all the right upgrades. Enter to hardwood floors throughout, freshly painted walls in contemporary color, airy vaulted ceilings and bright naturally lit rooms. The overhauled kitchen features gleaming quartz countertops, new cabinetry and stainless steel appliances, complimented by mod new fixtures and tile backsplash. The fully rehabbed & elegantly updated family bathroom is in comfortable proximity to 3 good size bedrooms, each with quality closet space. Designated laundry, a covered carport and generous yard with storage shed complete the package, making this the perfect home for modern minimalist living with no compromise on style. Owner is a licensed NJ salesperson." 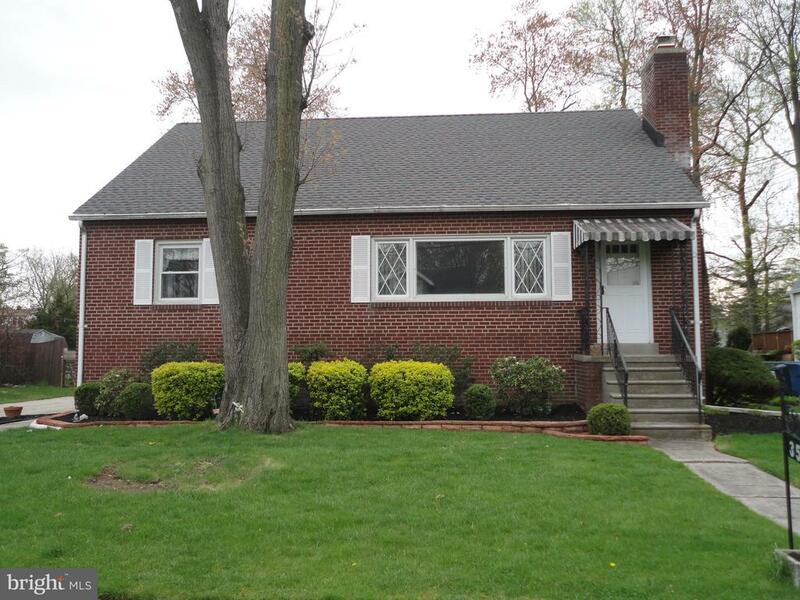 "You'll love this spacious home with central A/C situated on a quiet block in Maple Shade. Enter through the front door into the kitchen with its open wall; imagine yourself chatting with family members at the breakfast bar or dining room table as you prepare your meals. Continue onward to the over-sized family room where the whole family can spread out! Walk through the sliding glass doors and be amazed by the extra large backyard and patio area, perfect for entertaining. A half bath is also conveniently located on the main level. There are three bedrooms upstairs including a large master bedroom. Call the listing agent today for a showing at 856-655-5107." "Welcome Home. 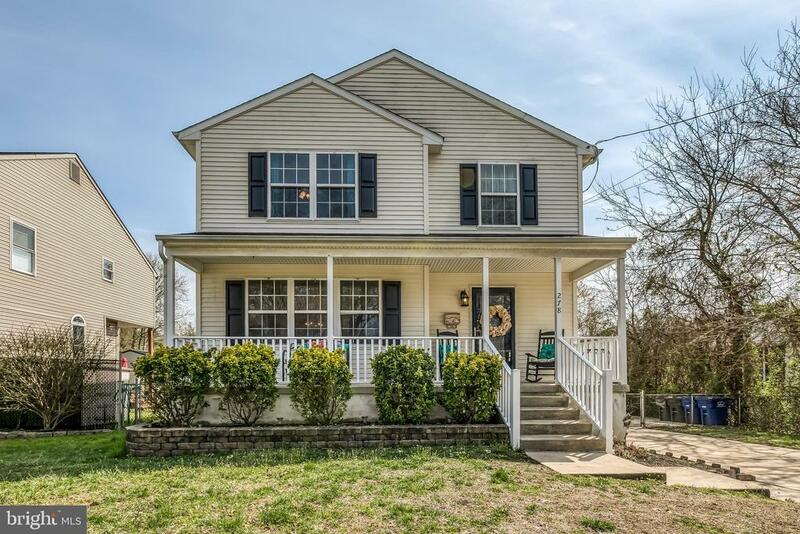 Come see this beautiful 4 bedroom home with 2 full baths. Kitchen was remodeled 5 years ago. Back yard is ready for entertaining with heated inground pool."